The UC Center for Environmental Implications of Nanotechnology (UC CEIN) studies the effects of nanomaterials on a range of biological systems in terrestrial, freshwater, and marine environments. From this research, the UC CEIN will design a comprehensive risk-ranking model, based on the potential toxicity, mobility, and persistence of the nanomaterials. With the rapid development of nanotechnology, little is known about the possible environmental, health, and safety impacts of nanomaterials. UC CEIN research is primarily conducted at UC Los Angeles and UC Santa Barbara, with several important partner institutions. 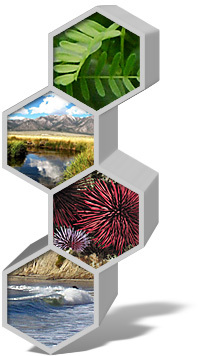 Within the UC CEIN, UCSB takes the lead on fate and transport, ecotoxicological, and risk perception studies, collaborating primarily with researchers at UCLA, UC Davis, UC Riverside, University of Texas at El Paso, Columbia University, and University of British Columbia. Congratulations to Arturo Keller who has been recognized with an Agilent Technologies "Thought Leader" award in support of research on "Bioavailability and fate of novel chemicals and nanoparticles in agricultural systems”. The award, recognizes demonstrated leadership in the field of environmental sciences and scientific contributions to the understanding of the applications and environmental implications of the use of nanoparticles in agriculture.